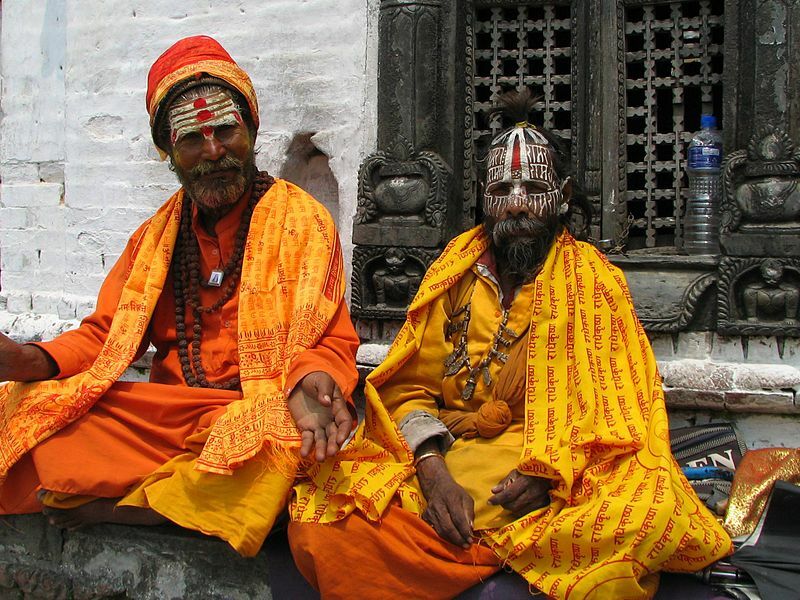 The Footsteps of the Himalayan Yogis Nepal Tour is one of the most unique travel experiences in the world. 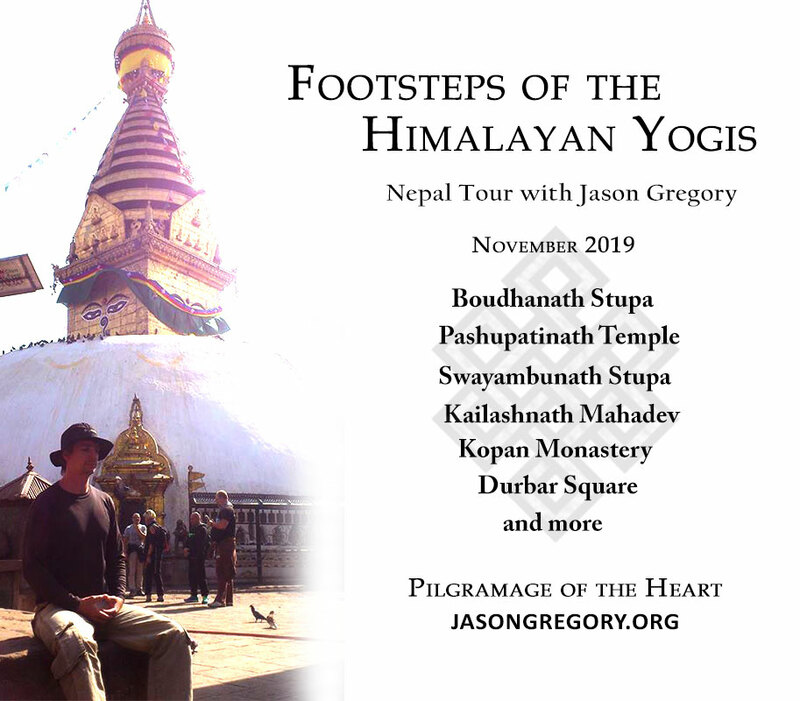 You can travel with author, philosopher, and spiritual teacher Jason Gregory on a mystical tour of Nepal to explore and trace the footsteps of the Himalayan yogis. Get unique insights into Jason’s knowledge of the East and the memory of the masters and scared places you will visit. Jason wishes to take people to the most sacred places in the sacred Kathmandu valley to show that the ancient Hindu and Buddhist cultures are thriving. But this can only be experienced by those willing to join him on this pilgrimage of the heart. Our 10-day itinerary includes visits to the most breathtakingly beautiful and mystical places of the Kathmandu Valley in Nepal. We will travel through Nepal to visit the most important sacred places of Nepalese history. Most people never get the chance to experience face to face the archaic origins and sacred sites of Hindu and Buddhist culture. But on this journey you will get a once in a lifetime opportunity to actually feel the ancient living culture that is still thriving in the sacred places you will visit. You will also get the chance to meet real life mystics and mingle with the beautiful people of Nepal. 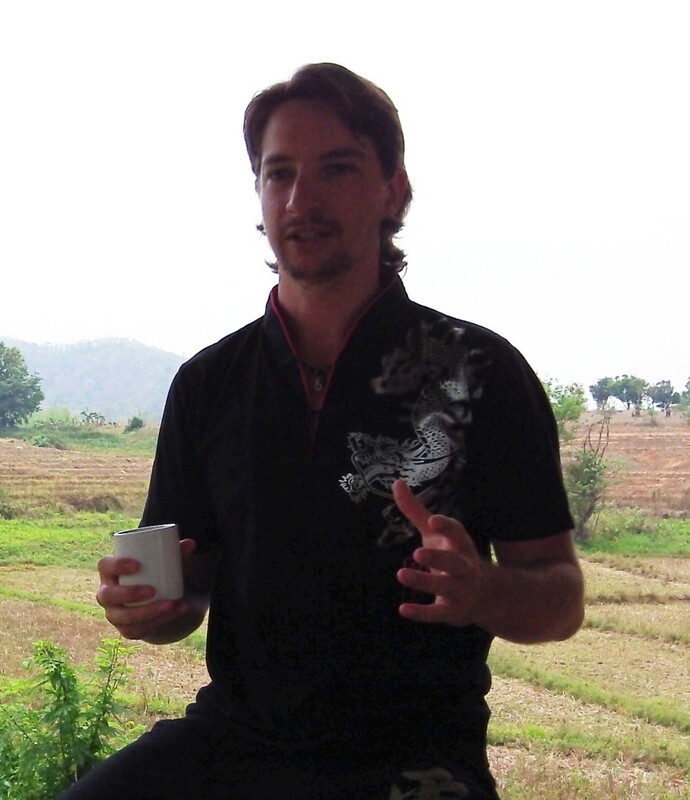 What is more, during the tour you will take part in private discourses given by Jason Gregory. He will show you the significance of how the great Eastern spiritual traditions can help you live more harmoniously in the modern world. You will begin to understand the deep wisdom the mystics of the East expounded for you to find true happiness and fulfillment in this life. And this is the reason for joining Jason Gregory on his tour of Nepal to follow the Footsteps of the Himalayan Yogis. This is a once in a life-time experience! “I have spent several years in Nepal and the experience has changed the entire course of my life. I continue to go back and visit every year. One of my favorite places in the world is the sacred Kathmandu Valley. 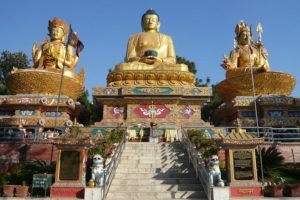 The Hindu and Buddhist pilgrimage sites in the Kathmandu Valley are some of the most powerful and peaceful you will visit in the world. There is something magical about being in the Himalayas that the ancient Hindus and Buddhists understood. The mountains have a mystical presence that have attracted mystics for thousands of years. This is why the Kathmandu Valley is significant, as it is in the heart of the Himalayas. And luckily for all those on tour, we will be in this heart of the Himalayas that the mystics believed to be sacred. Arrival at Tribhuvan International Airport in Kathmandu. 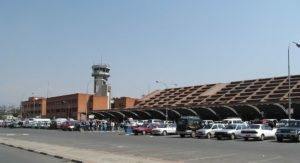 A representative of the tour team will welcome guests at the Tribhuvan International Airport and transport them to the hotel. After the check-in process at the hotel, guests will have time to rest and recuperate while all guests arrive at the hotel. On day 2 we will explore two of the most sacred sites for Buddhists and Hindus in the Kathmandu Valley. In the morning we will visit Boudhanath, one of the largest spherical stupa’s in the world because of its massive mandala. The Boudhanath Stupa is a sacred place of pilgrimage for Buddhists. We will circumambulate the stupa many times in meditation. Later we will enjoy all the wonderful shops and culture that are thriving in Boudhanath. In the late afternoon we will visit the famous Pashupatinath Temple located along the Bagmati River. This is a very sacred temple for Hindus and considered the most sacred place in Nepal. 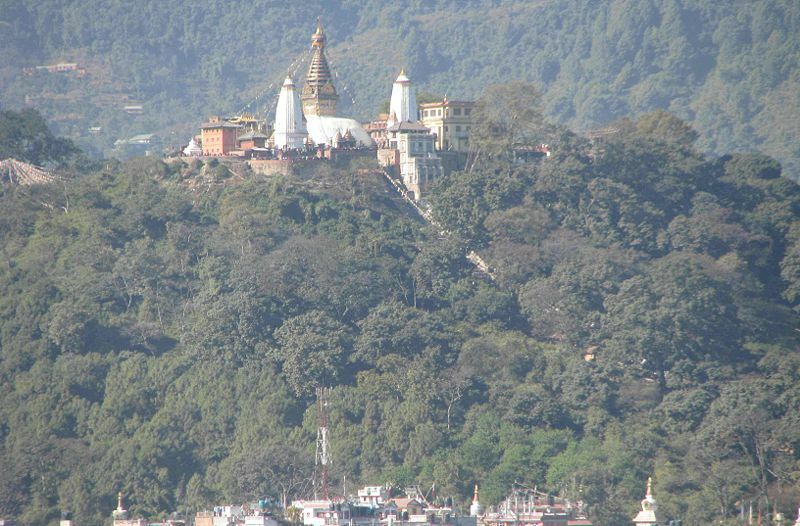 The temple serves as the seat of Nepal’s national deity, Pashupati, who is an incarnation of the Hindu god Shiva. We will explore the temple complex, visiting the ritual cremation ghats and also the many sadhus along the banks of the Bagmati River. In the early evening we will attend the Pashupatinath Bagmati Aarti, a sacred Hindu ritual performed along the banks of the Bagmati River. 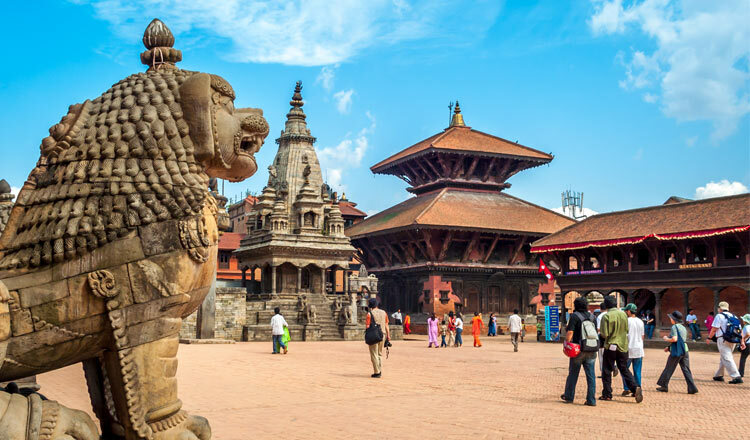 On day 3 we will travel to the ancient city of Bhaktapur and visit the famous Bhaktapur Durbar Square. Bhaktapur is the largest of three Newar kingdoms, the other two kingdoms are Kathmandu and Patan. All three are the home to a Durbar Square (royal palace), but Bhaktapur Durbar Square is the most impressive. It actually consists of four distinct squares (Durbar Square, Taumadhi Square, Dattatreya Square and Pottery Square). It has Hindu and Buddhist iconography scattered all throughout the complex. We will explore this ancient complex all throughout the day. In the morning we will travel to the Kopan Monastery. This monastery is a famous place for retreat for Tibetan Buddhists and very popular with the locals. We will explore the monastery grounds, meditate, and attend a Dharma talk in the morning. After lunch at Kopan Monastery we will walk up to Pullahari Monastery. This monastery is one of the most peaceful places in the Kathmandu Valley. It’s not as well known as Kopan Monastery, which makes it a lot more quiet and conducive for meditation. It is a hidden gem in the Kathmandu Valley. Early in the morning on day 5 we will go to the Swayambunath Stupa. This stupa is picturesque as it sits atop a hill in the Kathmandu Valley. Swayambunath is second only to Boudhanath for Tibetan Buddhists, though it is Jason’s favorite stupa in the world. On top of this hill gives you a wonderful view of the Kathmandu Valley. We will also circumambulate the foot of the hill which is lined with prayer wheels for meditation. Along our circumambulation we will arrive at the Buddhist trinity statues of Amitabha Buddha, Avalokitesvara (Guanyin), and Padmasambhava (Guru Rinpoche) where we will meditate. In the afternoon we will visit the Kathmandu Durbar Square (royal palace). Kathmandu Durbar Square has some of the most unique architecture in the world. 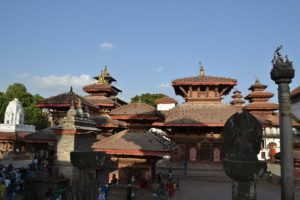 As with Bhaktapur Durbar Square, it has Hindu and Buddhist iconography scattered all throughout the complex. Dhulikhel is one of the most picturesque areas located in the Kathmandu Valley. It is high up on the Eastern rim of Kathmandu Valley, where for the next two days you will enjoy breathtaking views of the snow-capped Himalayas. Early in the morning on day 6 we will travel to Dhulikhel, where we will stay for two nights. 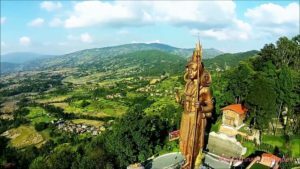 On the way to Dhulikhel we will stop at the Kailashnath Mahadev, the tallest Shiva statue in the world. After this we will continue our journey to Dhulikhel. On day 7 we will breathe in the Himalayan mountain air. We will go on a small trek through these glorious mountains to the Kali Temple. The rest of the day we will explore the surrounding area and absorb the culture and mountain views. 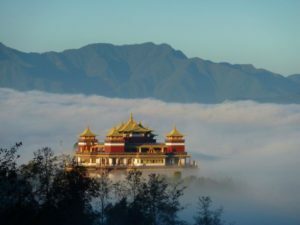 On day 8 we will trek to Namo Buddha, a small community home to the Thrangu Tashi Yangtse Monastery. 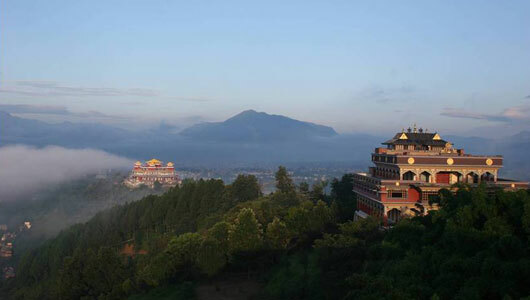 Namo Buddha is one of the most important pilgrimage sites for Buddhists. This is one of the most serene places within the Kathmandu Valley for mediation and contemplation. We will spend the morning there in meditation and enjoy the breathtaking views of the area before we trek back to our hotel to relax. In the morning on day 9 we will wake up to the beautiful Himalayas and reflect on our journey. We will enjoy a little peace and quiet before we head back to Kathmandu. After breakfast we will travel to Kathmandu. In the afternoon we will spend a little time exploring Kathmandu while enjoying our last day together. After an epic and sacred adventure together, it is time to say goodbye to Nepal. After breakfast we will be flying back to our homes. * Price per person: $3600 USD (or equivalent in GBP/EUR/AUD) for twin room share. If you are traveling alone, you can share a room with another tour member. * Early bird single ticket: $3100 (or equivalent in GBP/EUR/AUD) for twin room share. If you are traveling alone, you can share a room with another tour member. * Couple Early Bird: $6000 (or equivalent in GBP/EUR/AUD) for 2 people to share double room. We encourage you to book this tour as soon as possible, because the number of places are limited!